EPA/Safer Choice recognition does not constitute endorsement of this product. The Safer Choice label signifies that the product’s formula, as Paul Davis has represented it to the EPA, contains ingredients with more positive human health and environmental characteristics than conventional products of the same type. EPA/Safer Choice relies solely on Paul Davis, its integrity and good faith, for information on the product’s composition, ingredients and attributes. 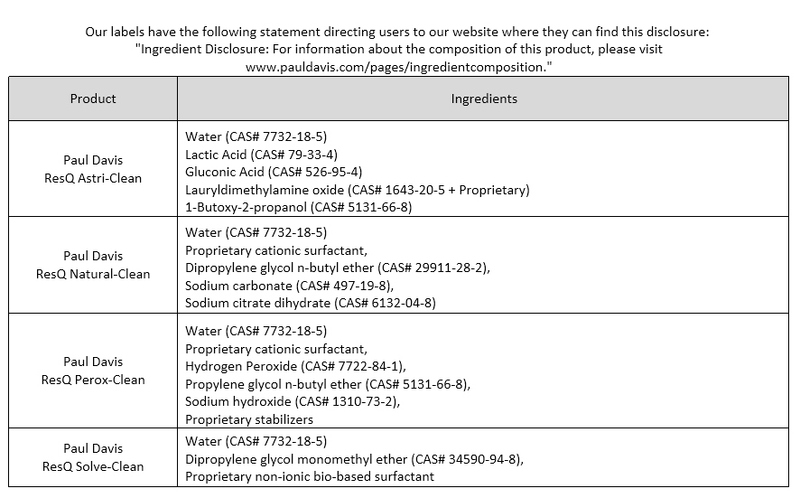 EPA/Safer Choice has not independently identified, that is, via chemical analysis, the ingredients in the product formula, nor evaluated any of Paul Davis’s non-ingredient claims. EPA/Safer Choice provides its evaluation only as to the product’s human health and environmental characteristics, as specified in the Safer Choice Standard and based on currently available information and scientific understanding.